My horse struggles with changing leads from left to right. Lori- Considering the history maybe he could have been sore and that caused the issue in the past. If that was the case and now he is sound we can hope things will go better. 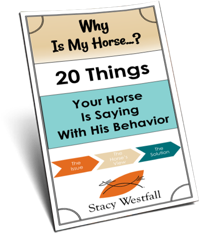 Even if he is sound now there still may be some carry over issues; if he expects to be sore he may avoid the movement, lead change, etc. The good news is that, barring soreness, the ‘fix’ is the same either way. First, take your time building him up. Be sure that he is strengthened at both the trot and the lope on straight lines, circles and lateral movements. Did you ever notice he was a stronger loper one direction vs the other? In the pasture does he take both leads appropriately or does he avoid one? Are his lead departures the same each direction or is he weaker in the right lead departure? Second, for some horses it is like teaching a right handed hitter to hit left handed. It is more common that they are equally poor or gifted which is generally why a huge discrepancy in one way often points to soreness. 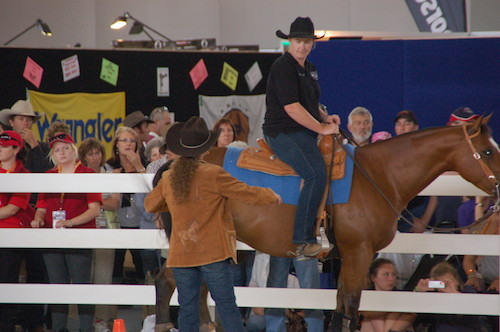 If he was sore and it was corrected then you will now need to repeat the shoulder moving, hip moving, lateral movements at the walk, trot and lope to show and teach the horse that those moves are now comfortable. This will likely take awhile. For fun switch your primary writing hand for a week…it will give you an idea of the change. 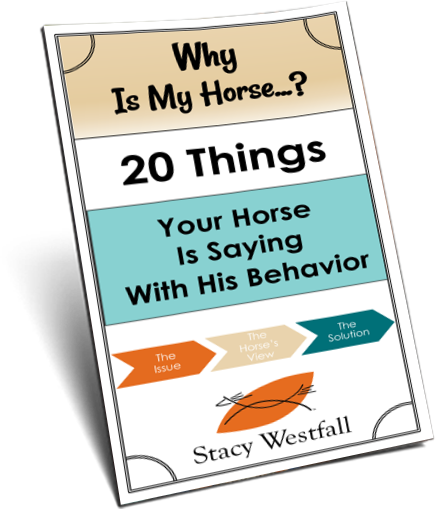 Also, make sure you ride with a pro and if possible change leads on another horse some. Occasionally I have found horse and rider teams that are so accustom to one another that the ‘imbalances’ they have are hidden because they compensate for each other. If you ride another horse and all goes well then that could be ruled out. A pro can also give you tips such as adding a little speed or they can point out if you are looking down. Give it some time and lots of practice and hopefully things will even out for you soon and you will be changing both directions well. ← I have a mare who is a little cold backed, would the rope exercise help?